Under the PRASHAD Scheme, the Ministry of Tourism has identified 26 religious sites in 19 states for development which inter-alia include Amaravati and Srisailam (Andhra Pradesh), Kamakhya (Assam), Patna and Gaya (Bihar), Dwarka and Somnath (Gujarat), Gurudwara Nada Saheb (Haryana), Hazratbal and Katra (Jammu & Kashmir), Deogarh (Jharkhand), Chamundeshwari Devi (Karnataka), Guruvayoor (Kerala), Una (Himachal Pradesh), Omkareshwar (Madhya Pradesh), Trimbakeshwar (Maharashtra), Puri (Odisha), Amritsar (Punjab), Ajmer (Rajasthan), Kanchipuram and Vellankani (Tamil Nadu), Varanasi and Mathura (Uttar Pradesh), Badrinath and Kedarnath (Uttarakhand) and Belur (West Bengal). 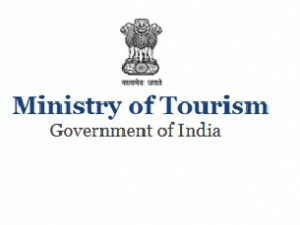 MOT provides central financial assistance to state governments/Union Territory (UT) administrations under the schemes of Swadesh Darshan, National Mission on Pilgrimage Rejuvenation and Spiritual, Heritage Augmentation Drive (PRASHAD) and Assistance to Central Agencies for the development of tourism-related infrastructure in the country. 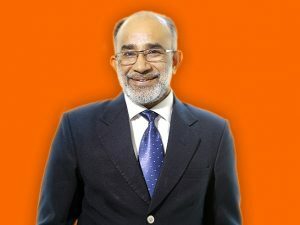 KJ Alphons, Union Minister of State (I/C) for Tourism has said that the Ministry is targeting to increase India’s share of Foreign Tourist Arrivals (FTAs) in world’s international tourist arrivals to 1 per cent by 2020 and to 2 per cent by 2025. The share of India’s FTAs in during 2016 was 0.71 per cent, while the share of India’s International Tourist Arrivals (which includes Foreign Tourist Arrivals and arrival of Non Resident Nationals) in world’s International Tourist Arrivals during 2016 was 1.18%. 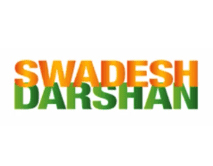 Ministry of Tourism has two flagship schemes – Swadesh Darshan – Integrated Development of Theme Based Tourist Circuits, and PRASHAD – Pilgrimage Rejuvenation and Spiritual, Heritage Augmentation Drive for creation of tourism infrastructure, generating pro-tourism culture in the people. MOT has launched Social Awareness Media Campaigns with the objective of sensitising stakeholders in the tourism industry as well as the general public about the importance of good conduct and behaviour towards tourists and reinforce the spirit of ‘Atithi devo Bhava’. The Ministry of Tourism has sanctioned projects worth over Rs 203 cr for Uttar Pradesh alone for the development of Ramayana and Krishna circuit in UP, Haryana and Rajasthan under the Swadesh Darshan scheme. Under the Ramyana Circuit, the sites of Ayodhya, Nandigram, Shringverpur & Chitrakoot (Uttar Pradesh), Sitamarhi, Buxar & Darbhanga (Bihar), Chitrakoot (Madhya Pradesh), Mahendragiri (Odisha), Jagdalpur (Chattisgarh), Nashik & Nagpur (Maharashtra), Bhadrachalam (Telangana), Hampi (Karnataka) and Rameshwaram (Tamil Nadu) have been included. The Krishna Circuit involves the sites of Dwarka (Gujarat); Nathdwara, Jaipur & Sikar (Rajasthan); Kurukshetra (Haryana), Mathura, Vrindavan, Gokul, Barsana, Nandgaon & Govardhan (Uttar Pradesh) and Puri (Odisha). The projects sanctioned under the scheme have a gestation period of 18-36 months and are subject to availability of funds, submission of suitable Detailed Project Reports, adherence to scheme guidelines and utilisation of funds released earlier. No proposal has been received in the Ministry for the development of Sita Circuit. 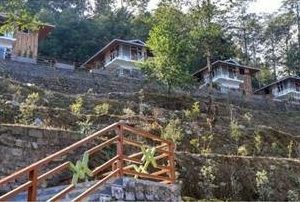 The Ministry also has the PRASHAD scheme (National Mission on Pilgrimage Rejuvenation and Spiritual, Heritage Augmentation Drive) for holistic development of identified pilgrimage destinations in the country. Under the scheme, 25 sites have been identified for development.